Scale is critical to effective solar initiatives, on both a micro and a macro level. For installers, achieving a base number of installations per day, week, month and year is critical to financial viability. Similarly, in order to reach ambitious carbon/climate goals, solar must be adopted rapidly and in great numbers in the mass market. 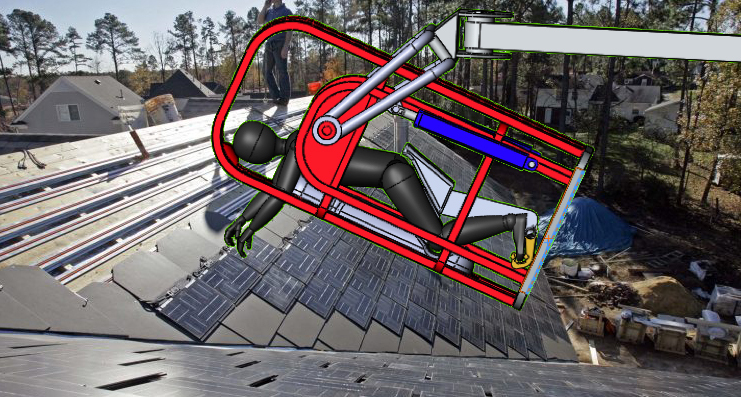 Human Lift is designed to allow solar installers to work more quickly and effectively, with none of the hazards or hindrances that have always been a part of rooftop work. The bucket can be used to lift supplies and equipment to the work space, minimizing set up time and eliminating the need to establish safety protocols that don't really work in the first place. With a nearly unlimited range of motion and an unprecedented ability to be properly and safely positioned, installations on roofs of all types become fluid, making for seamless transitions between project phases. And once things are wrapped up, clean up happens in a flash, with no ladders or scaffolding to breakdown when workers are at their most-tired and least focused. Get more done and make a bigger difference with Human Lift.